Blender Brownies With Chocolate Avocado Frosting + COOKBOOK GIVEAWAY!!! Today's post is a super exciting one for many reasons. One - This is a VEGAN CHOCOLATE BROWNIE recipe that is OIL free and REFINED sugar free. Amazing right!? You betcha. Bianca and her foodie/life partner, Sascha Naderer, just released their very first cook book (congrats!!! ), "The Veginner's CookBook" (affiliate link) - a book intended to serve as a guide for New Vegans and the Veg-Curious crowd. And this is one of the recipes from their book that I am giving you a sneak peak of! YAY. I was lucky enough to receive a *free* copy so that I could check out their recipes AND show one off to you guys! 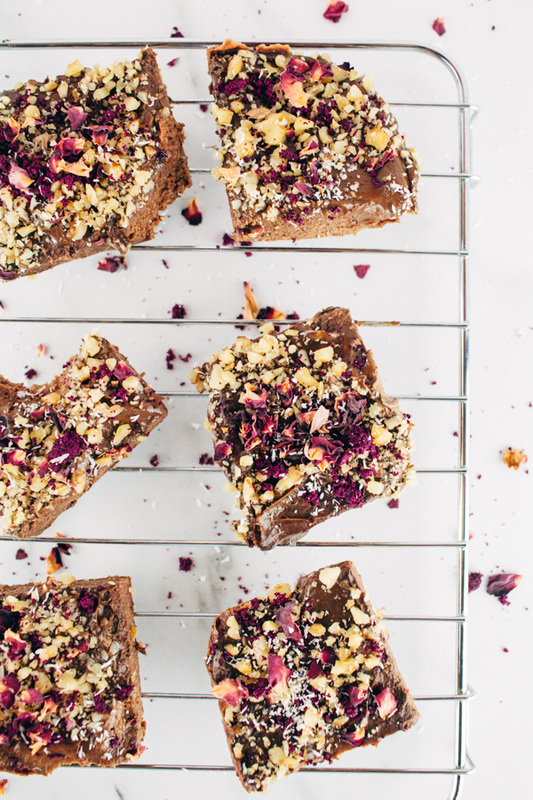 Let's talk about these vegan chocolate brownies that can be easily made using a blender! Yes, it's true. Just throw all of the ingredients in a blender, mix and BAM.. you'll have brownie batter in 20 seconds (give or take 😉 ). Pro tip - If you hate using avocados up in your baking such as to make frosting and pudding (trust me, I know the feeling, 'cause avocados are super expensive and I rather use them up on my savory dishes..), try finding avocados in your supermarket's sales rack. I can usually find a good deal on avocados when they're way too ripe and soft and turning brown. The stores will usually put them on sale and you can snag up a bunch of avo's for $2 or $3. Now, I know this isn't the case everywhere, but just sayin' keep an eye out. Since you're going to be blending these with chocolate anyway, it won't matter if they are too soft or over ripe or turning brown because you won't see it! This is MORE than just a cook book. This is a handy guide for beginners - scratch that- Veginners, and for those who are 'veg-curious' or not ready to commit to a full blown vegan diet, but still curious enough to try vegan recipes every so often. The recipes are simple. Sometimes cookbooks can be intimidating, especially vegan ones with all their fancy equipment and special ingredients. Trust me, I'm guilty of creating overly complicated recipes myself.. But, in this "veginner's" cookbook you'll find straightforward and simple recipes that are easy to follow and understand. Did I mention there's 75 + recipes in this book? SEVENTY FIVE, and then some! That's like enough recipes to get you through three to four months (or more) of menu prep! Bianca Haun's recipes have a good solid reputation and her readers rave about her recipes all of the time, so I don't expect anything less from her cookbook recipes. And by the way, 80% of the recipes in the cookbook are exclusive and never before seen on her blog. 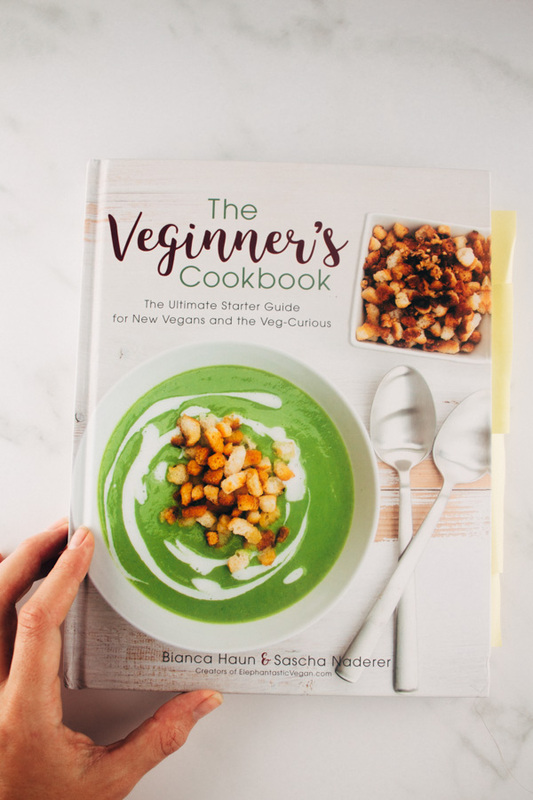 "The Veginner's Cookbook" is available for purchase on Amazon, which makes the buying process super easy and you can even get free shipping if you are a Prime member. Oh, there's even a kindle option too! In the name of transparency, I did receive this book for free... but these are my opinions and I wouldn't promote something that I didn't agree or stand behind. I really do think this is a great beginner cookbook (that's beneficial to even those who aren't beginners) with plenty of healthy-ish recipes that will help you transition into veganism. Okay, so the most fun part of it all! How do I enter the giveaway!? 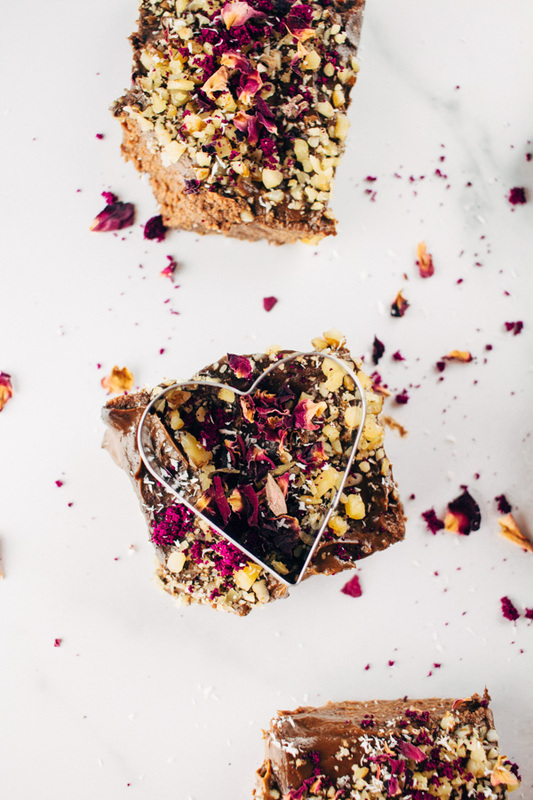 All you have to do is make sure you are following me on Instagram at @sproutingzeneats, and look out for the brownie post that I will be posting THIS Wednesday on Valentine's day, February 14th. Make sure to follow the contest rules which will be published on that post. UPDATE: You can now join in on the giveaway by clicking on that link and following the rules which are stated on that post. Simply follow my IG account, LIKE the picture, and leave me a comment tagging a friend, and you're in! Thanks!!! The giveaway will go live on Wednesday (Feb.14th) and will close on Sunday, (Feb. 18th) at 10pm EST. Winner will be announced via stories on Monday, Feb. 19th. So go go go add me on Instagram and keep an eye out on Wednesday for when the post goes live for your chance to win this awesome cook book. And if you try the recipe or like the idea of it .. let me know below ↓ in the comment section! I love to connect and hear from you all. Preheat oven to 320F/160C and line a 7 x 10 inch loaf pan with parchment paper. I didn’t have a 7 x 10, so I used an 8×8 glass dish instead. Add the oat flour and almond meal to your blender. Pulse until fine. (I made my own oat flour and almond meal by placing oats in a food processor and processing until fine. I did the same with almonds. Then I transferred both to the blender and pulsed a bit more.) Then, go ahead and add the dates, salt, bananas, cocoa powder and plant based milk and blend until smooth and creamy. I had t scrape down the sides of my blender a few times before it all finally blended well. Transfer batter to the baking dish and spread it out. Bake for about 25 minutes and let it cool completely before putting avocado frosting on top. This step is important because if the brownies are still hot, the frosting won’t set well. Bianca recommends to let the brownies cool for 2 to 3 hours. 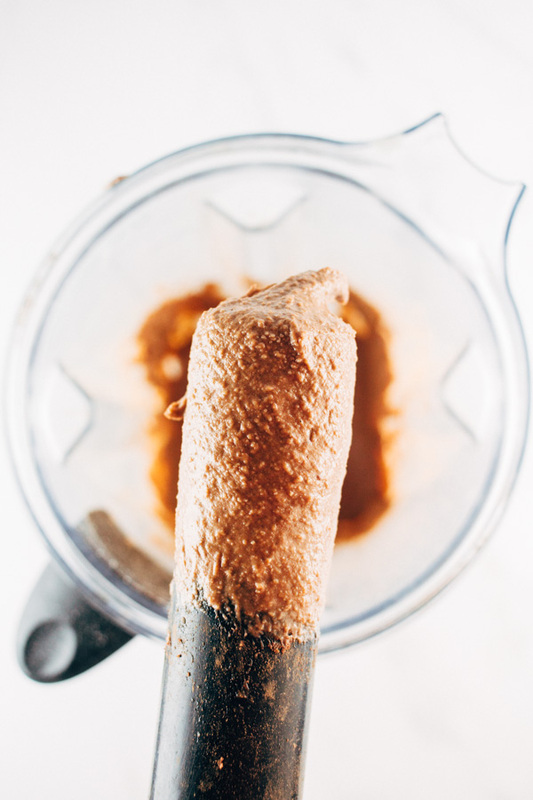 For The Chocolate Avocado Frosting: Add all of the ingredients to a blender and blend until completely smooth. You might have to scrape the sides of the blender a few times here as well. 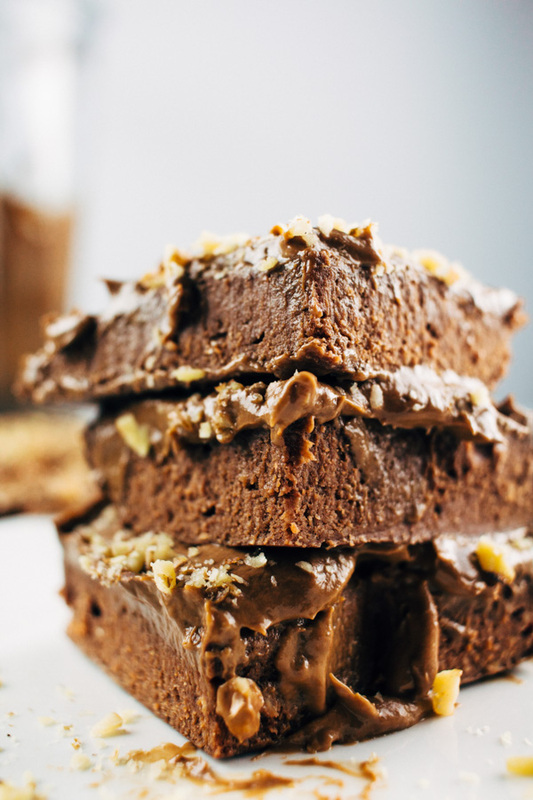 Once brownies are completely cooled down – pour the avocado chocolate frosting on top and add any desired toppings such as cacao nibs, or chopped walnuts. Cut into brownies squares. You can eat immediately or you can let them sit in the fridge for a few hours or overnight. Tip – the brownies taste even better the next day, so make them in advance if you can. The brownies can be stored in the fridge for 3 to 4 days. This recipe is from ‘The Veginner’s Cookbook’ – I have shared the exact recipe from the book but I have added notes on where I made some changes to the recipe. oooooh how decadent! excited to try! These are so beautiful. I don’t even know if I would eat them because they are too pretty! I can’t believe they are vegan too. They look so good! Great recipe and an awesome giveaway! Wow, I love the sounds of this post today. 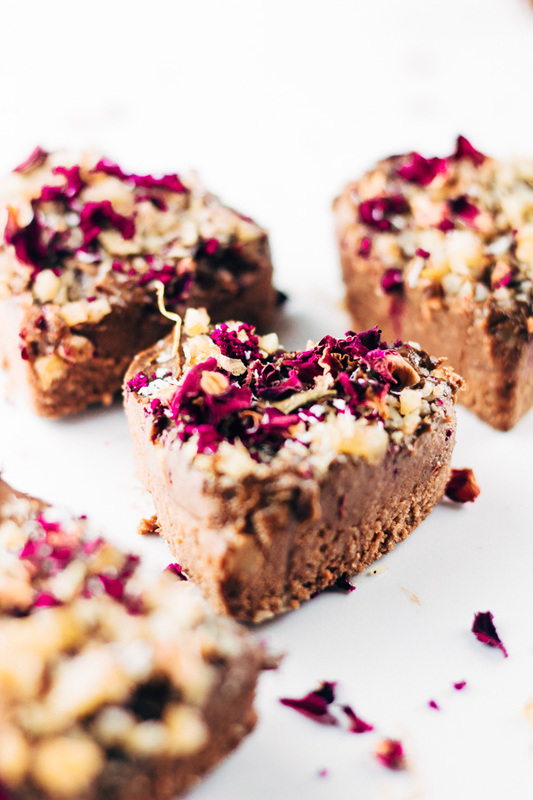 I use to squirm at the idea of avocadoes in chocolate – but I’ve had it now enough to know how great it is, and since it’s such a healthy food it sure is nice to know I’m sneaking something of value into treats like these for my family. Wow, these look absolutely fabulous! You also take the most amazing photos too – I love them. Nice work. This vegan brownie looks delicious, will try your recipe! These look super yummy and more importantly healthy! I love the colors of them! 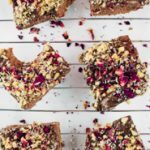 I always love healthy recipe, but this one looks really made in heaven! Healthy is great, but when it’s tasty AND healthy, it’s even better! These look delicious. I like the avocado tip! This is such a fun recipe and cookbook! I love how you made your brownies so cute! 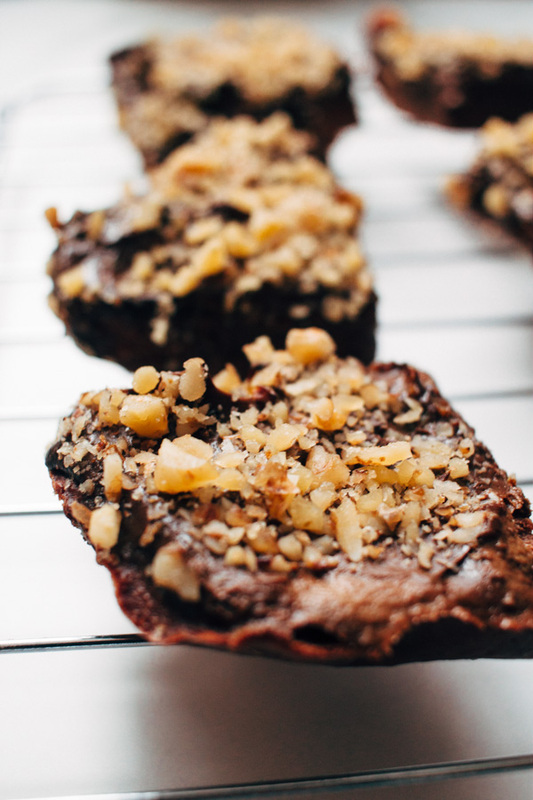 These look so decadent and fudgy! Cannot wait to try them, especially with that yummy frosting on top! They’re superrr fudgy. Let them sit in the fridge overnight, if you can! I know it’s hard. wow! These brownies look epic! I’ve almost licked my screen over here! Hahaha! Anna your comment made my day! Thanks for stopping by. 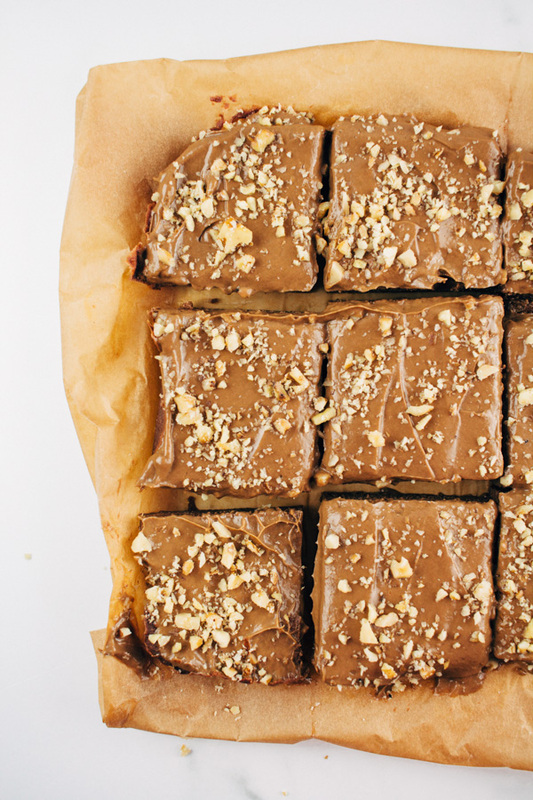 I’d never be able to say no to these delicious looking brownies Jen! They are just calling my name and I can hear it! Don’t do this to meeeeee!! LOL these brownies look so good and easy to make. I need them!